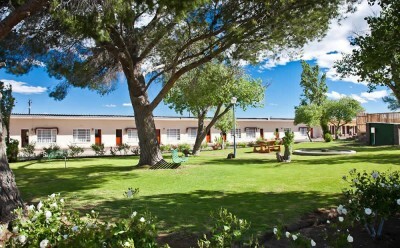 Beaufort West is a typical country town with a rich romantic history. The little town lies in what became the world's richest collecting gournds for fossils. Today visitors can find out more about them by following the fossils trail at the Karoo National Park outside the town. The Karoo people are warmhearted friendly and open people. They are extremely proud of the fact that the world famous heart surgeon, Prof Christiaan Barnard, is a local boy. This pioneer of the first heart transplant in the world, is a born Karoo boy. At the pastorie visitors can see his humble boyhood home visit the garden in which his ashes are buried. With modern road and rail links, Beafort West is ideally situated as a central base from which to explore the Great Karoo and the historic Swartberg Pass. 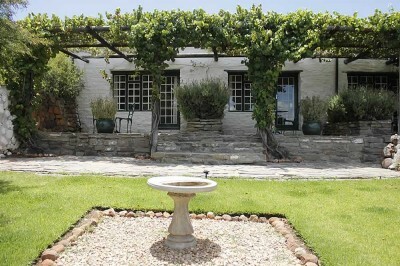 It is also the gateway to holiday resorts in the Western, Eastern and Southern Cape/Garden Route. The very popular and well-known Wagon Wheel Country Lodge is conveniently located just off the N1 and offers the best value for money at very affordable rates. To satisfy the needs of all travellers we offer various types of accommodation.